Constipation is a digestive process. It happens when the intestines undergo changes that prevent ideal bowel movements. It's one of the most common problems in today's world, most likely due to poor eating habits. The main symptom is trouble expelling bodily waste. Other symptoms include gas, inflammation and abdominal pain. While constipation isn’t a serious problem, you do have to treat it before it gets worse, to avoid complications or a chronic problem. Luckily, you don’t always have to use synthetic laxatives. There are also natural ingredients that help get your intestinal health back on track. 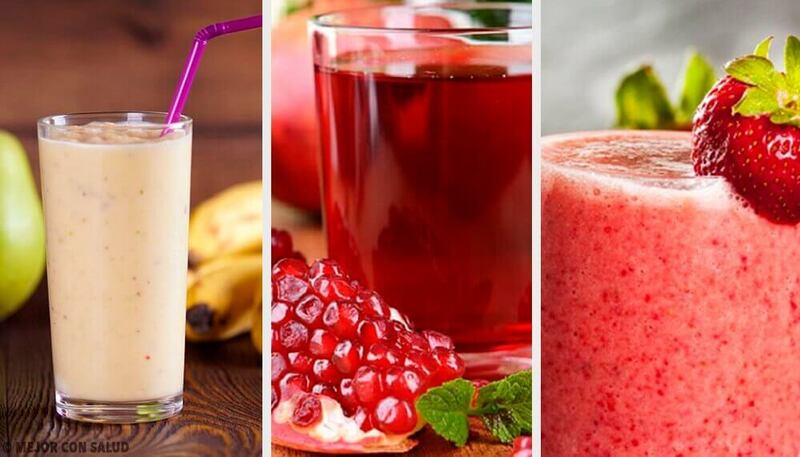 Today, we’re going to show you how to combine them to make delicious laxative smoothies to relieve constipation. 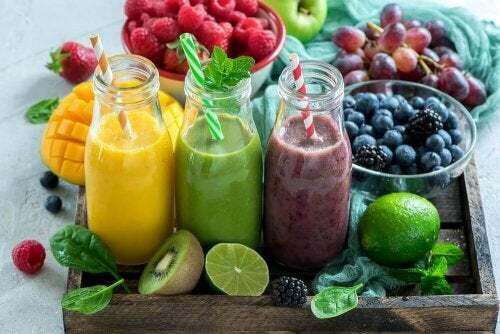 The wonderful ingredients in these smoothies can help stimulate movement in the intestines, which is important in the fight against constipation and toxin buildup. Give them a try, it’ll be great for your health! 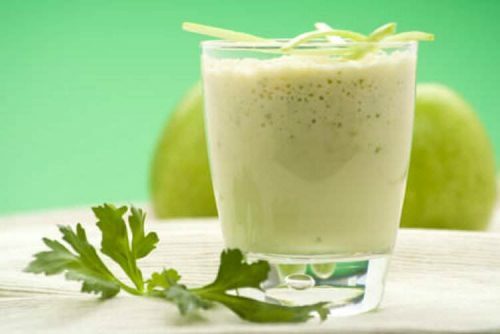 A combination of aloe vera and green apple fiber is one of the best smoothies to relieve constipation and bloating. Its nutrients feed your natural microbial flora and reestablish your intestinal rhythm. Doing this gets your body to eliminate waste more effectively. First, extract the gel from the aloe vera and beat it in a blender with the apple and cucumber slices. Add the water and process in a blender until well mixed. Consume without straining 2 times per day. Bananas and oatmeal bring alot of fiber into your diet. That means they’re great for the digestive processes in charge of waste removal. Their many properties also make them great for stimulating bowel movements and preventing excessive gas buildup. 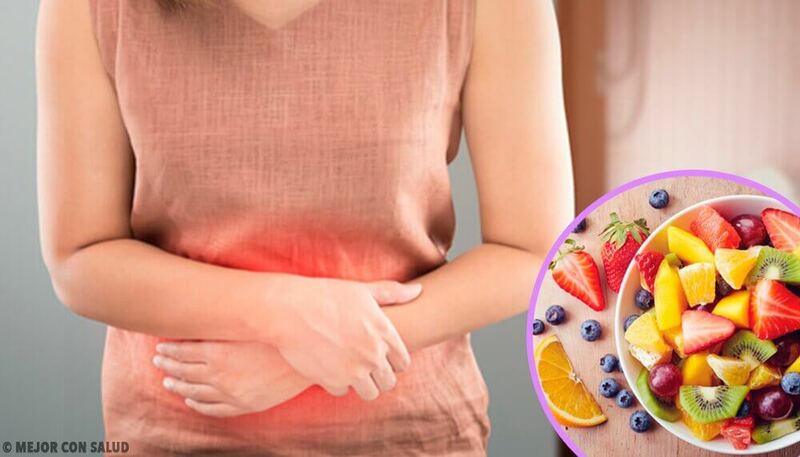 Both of these ingredients also protect the stomach’s lining and reduce the risk of health problems like gastritis. First, slice the bananas and combine in the blender with the water and oatmeal. Make sure to blend well and consume shortly after preparing. 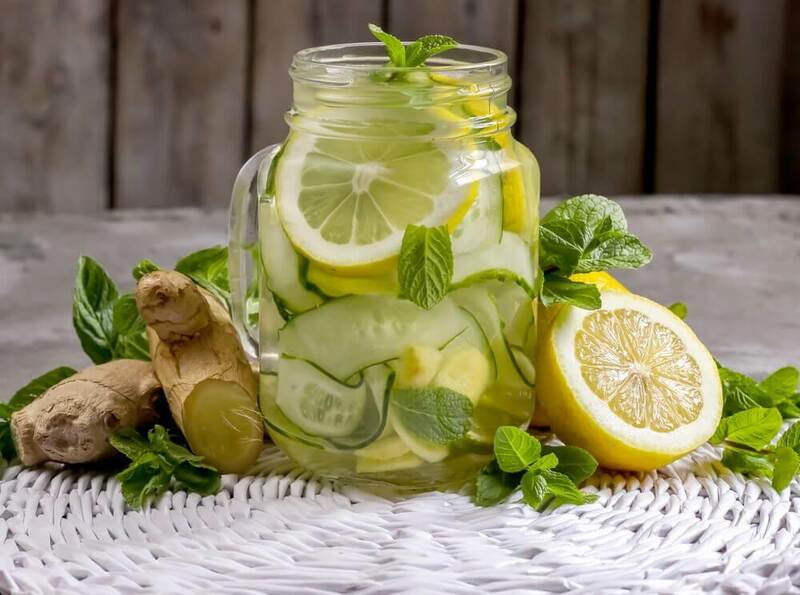 Drink this on an empty stomach a minimum of twice a week. 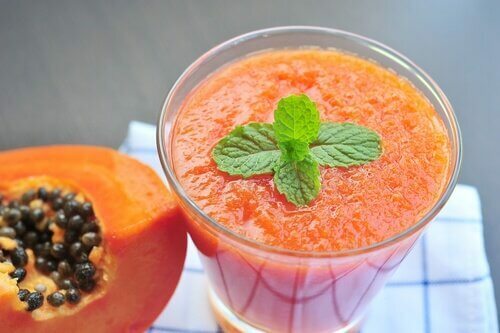 To start with, papaya has amazing digestive enzymes. When you combine these with the fiber from the apple and flax seeds, you get a great natural laxative. These properties help to improve digestive health and, after a while, will increase your physical and mental energy levels. First, cut papaya and apple into small pieces. Then, combine them in the blender with the flax seeds and water. Blend together a few minutes until you obtain a thick, well-mixed smoothie. Drink 30 minutes before eating breakfast for a whole week. This is one of our favorite smoothies to relieve constipation. It contains the digestive enzymes, fiber, and essential fatty acids are necessary for improving intestinal health. Additionally, its nutrients improve the intestinal rhythm and stimulate the elimination of toxins retained in the intestine. Fist, cut the pineapple slices into several pieces and mix with the banana and almond milk in the blender. 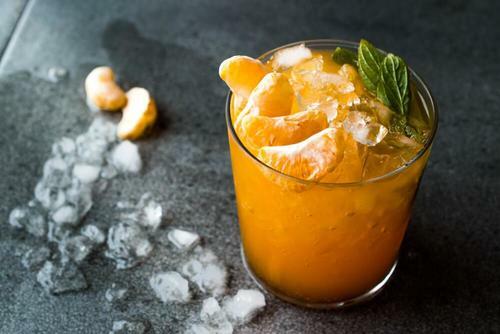 Once it has a creamy consistency, drink it as soon as possible. 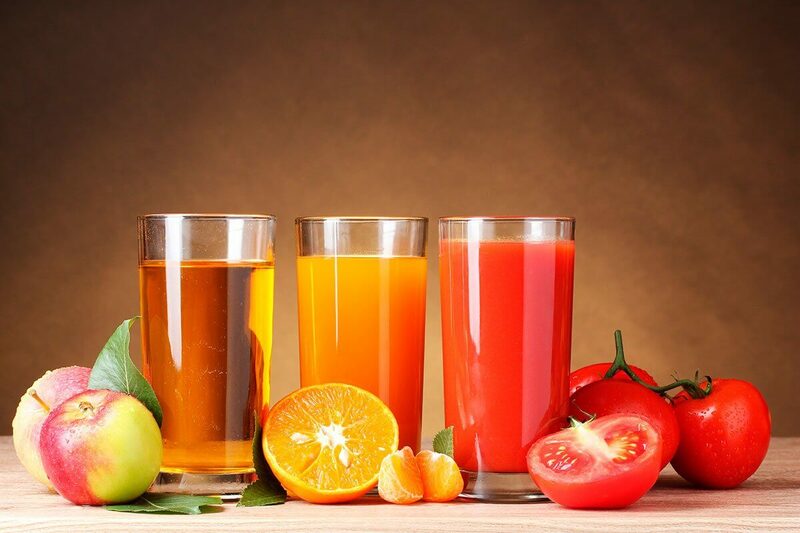 Drink this on an empty stomach or at breakfast at least 3 times a week. This delicious smoothie has a lot of powerful antioxidants and digestive enzymes that help reestablish your intestinal balance. Plus, their probiotic compounds feed your intestinal microbes and keep them healthy. This makes it a great smoothie for eliminating waste in your body. Read more: What are Probiotics Used For? 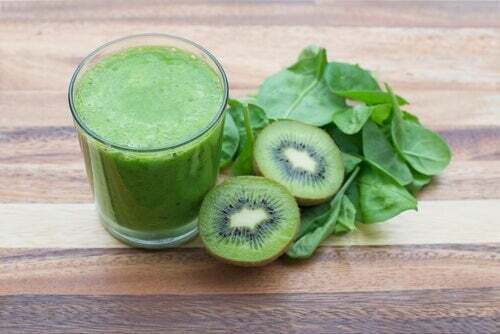 First, peel and cut the ripe kiwis into various pieces and put them in the blender with the spinach. Then, squeeze the juice out of the oranges and mix it with the rest of the ingredients. Process at the highest speed until there’s no pulp. If you like, add water to thin it out. Serve without straining and drink on an empty stomach. 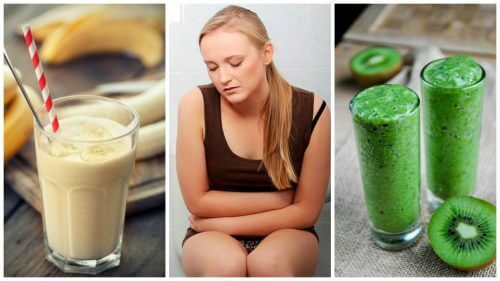 If you try these healthy smoothies to relieve constipation, you’ll have found a natural, effective way to say goodbye to this annoying instestinal problem! Mínguez, M., et al. “Guía práctica de actuación diagnóstico-terapéutica en estreñimiento crónico.” Valencia: Fundación Española de Aparato Digestivo (2013). Remes-Troche, José María. “Estreñimiento: evaluación inicial y abordaje diagnóstico.” Rev Gastroenterol Mex 70.3 (2005): 312-22.